This Course is prepared for helping the entry level Fresher & Experience Engineers in the field of Air Conditioning Systems: This Course is also useful for person’s who’s dealing in HVAC product. 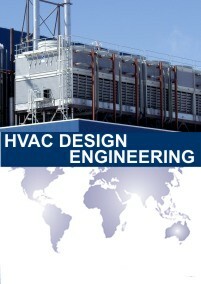 This Course fills the gap between the Theoretical Study & real practical design of HVAC systems. For those involved with the purchase, design, fabrication, or inspection of HVAC Projects including users, manufacturers, repair organisations, inspection agencies and other organisations involved with the design, maintenance and repair of industrial Plants. Centralized chilled water system (Air Cooled / Water Cooled). Energy conservation study & design. VRV’s / VRF’s system for residential & commercial buildings. Mechanical Ventilation for Car Parking & Basement area. Cold Storage refrigeration system design. Design of Warehouses & Industrial Ventilation System. 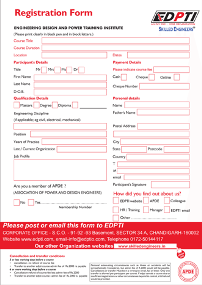 You can Registred your self for HVAC Design Course by filling online form and pay the fee through Credit Card/Debit Card/Netbanking. To Registration Online click REGISTER NOW button. You can also visit our Study Centre or branch offices and registed your self in HVAC Design Courses.